Butterfly Threads: Save the Date! Hi local folks! Be sure to mark these dates on your calendar. 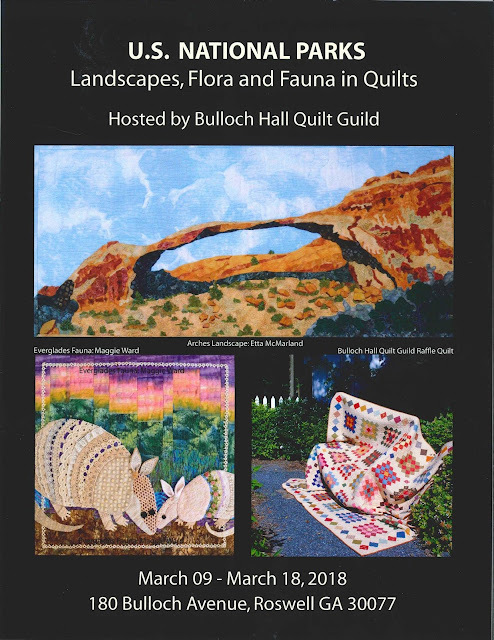 The Bulloch Hall Quilt Guild Annual Quilt Show is featuring a national exhibit all about our amazing National Parks. Be sure to come see the quilts, visit the lovely historic home, buy a chance for our gorgeous raffle quilt and purchase a small quilt with all proceeds going directly to the preservation funds for our National Parks. More information and details available here and here.